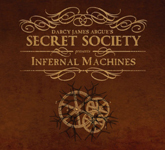 Infernal Machines (New Amsterdam Records), the debut studio recording from New York's acclaimed 18-piece steampunk big band, Darcy James Argue's Secret Society, is now available. The release takes its name from a John Philip Sousa quote about the dangers of music technology, and features new definitive studio recordings of material Argue and the band have been developing since their first gig in 2005. ...Argue has succeeded at creating a magnificent chimera. His harmonically rich blend of contrapuntal horn voicings, atmospheric electronic textures and post-minimalist rhythms surpass the early fusion experiments of his predecessors, yielding a fully integrated sound world as current as it is timeless." ...[Argue's] first album, Infernal Machines, arrives just in time to bring one of the most intriguing cases of artistic foreplay in jazz history to a deeply satisfying resolution." It’s a potent debut, and the weight of its achievement feels properly definitive..."
...a seven-track marvel of imagination." 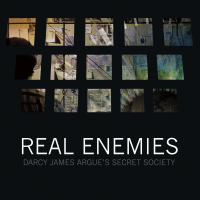 For a wholly original take on big band’s past, present and future, look to Darcy James Argue, a 33-year-old Brooklynite who has composed a batch of manifestos that draws on past legacies, and adds a little postpunk energy to boot. Argue’s tunes can command your attention anywhere—no small feat in our media-saturated world." The widely anticipated debut CD from Argue’s 18-piece 'steampunk big band' delivers on all counts. 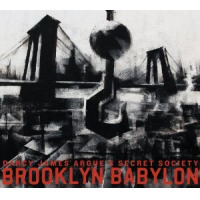 The music is unusual, fresh and vibrant, merging modern jazz with rock- derived concepts on a grand scale." An exciting stylist with an abundance of ideas, Argue deserves his place alongside Schneider, Hollenbeck and other contemporary big band arrangers who are looking beyond traditional notions of what a large jazz orchestra should, and can, sound like." ...a seriously great record, one of the finest examples of new jazz I’ve heard in the past decade, one of the finest big band records ever made, one of the finest jazz records I’ve truly ever heard." [Infernal Machines] lives up to the buzz, featuring writing and performing that catapults Argue's group into the ranks of jazz's best contemporary large ensembles, making boundary-breaking music that ranks with the art from his teachers Maria Schneider and John Hollenbeck. Throughout, Argue masterfully blends thrilling, innovative rock elements with sounds that remind one that he's running a big band after all." 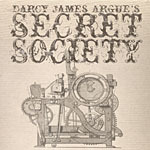 Like a rock band, the Secret Society delights in big, assertive ideas. Yet this rugged let- it-rip aesthetic is beefed up by a rich harmonic palette that you won't find at any rock concert. This is fresh and non-derivative work, and justifies the intense buzz surrounding this bandleader's debut release." This story appears courtesy of Improvised Communications. For interview requests or more information contact Improvised Communications. The Making of Darcy James Argue's "Infernal Machines"